Shine a light on it - Capture or defeat Task Force Socorro! Life. Liberty. Democracy. Freedom. Safety. These are the tenants the Corellian Confederation prides itself on. Disillusioned by its near destruction and occupations by dark forces, the Corellian Confederation has taken it upon itself to reclaim its independence and provide security for its sister systems in the Corellian Sector. Allies of the New Republic and friends of the Alliance in Exile, the Corellian Confederation is dedicated to bringing its values to all worlds within the Corellian Sector and uniting them under one banner. A New Age Dawns on Corellia! Among the first hyperspace explorers, Corellians have had a love for the stars since time immemorial. With legendary smugglers, swoop racers, and pilots, the planet was considered by many to be the mecca of spacetravel and their citizens had a reputation for having rocket fuel for blood. 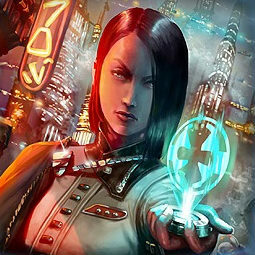 With advanced cities and well respected shipwrights Corellia was a shining jewel in the Galactic Core. Even after the Breaking of Corellia the planet's tenacious citizens and brazen smugglers are back at it again bringing their smooth one liners and blood pumping spice runs. But not all is fine on Corellia. After the collapse of the Galactic Alliance the Sith Empire have claimed control over many sectors in the Core, including Corellia, leaving the proud fliers grounded. Galvanized by their unjust planetary confinement and years of pressure from external governments the self-determined Corellians have reached out to all of the systems in the Corellian Sector.